A secondary blog to ThamesNZ Genealogy to highlight the commemorations planned to take place during 2017-2018. A big weekend planned 3rd to 5th November 2017, when the St Francis Church in Thames commemorates 150 years of the catholic presence at The Thames. A facebook site has been set-up. "Father Nivard Jourdan,OFM, was a newly ordained Franciscan priest from Northern Italy when he joined Bishop Pompallier on a missionary expedition to New Zealand. 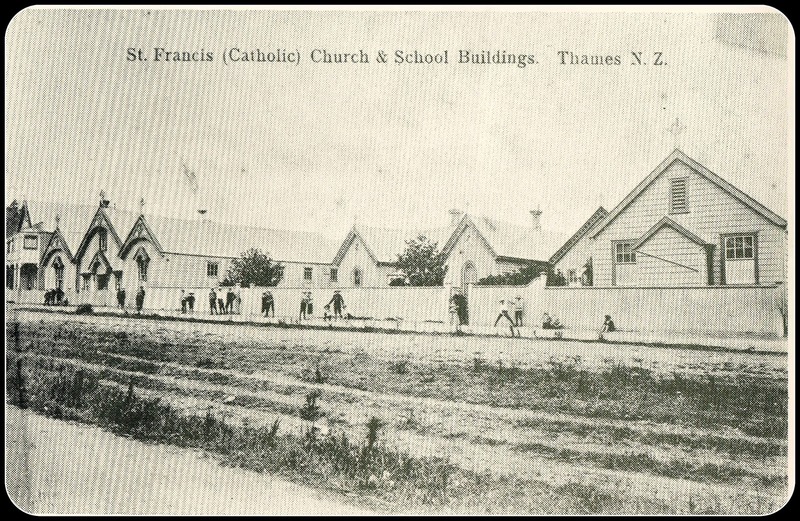 After serving in Northland and Parnell he was assigned to Thames when the goldfields first opened and conducted his first mass here in October 1867." Father Jourdain was instrumental in the establishment of the Goldfield Hospital, which opened 2nd November 1868. His passion for the people and the town, made him a favourite among all denominations. 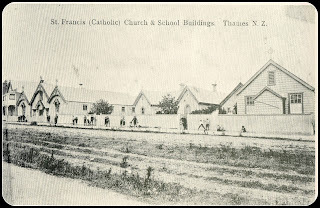 "100 Years Catholic Education in Thames" by the Jubilee Committee 1973. (c) Althea Barker 2016.. Picture Window theme. Powered by Blogger.